In 2002, Dr. Michael Harrison (founder of Magnets-In-Me) became interested in the use of rare earth magnets in the treatment of certain orthopedic disorders that might benefit from a magnetic therapy. He consulted with experts in the field of rare earth magnets to understand their potential uses for biological remodeling of bone and tissue. Magnets-In-Me, Inc. (MIM) was incorporated in July 2006 to develop a technology whereby magnets will gradually remodel tissue to correct a variety of structural deformities. The devices were developed by University of California San Francisco (UCSF) employees (Dr. Michael Harrison, MD and others) who filed Intellectual Properties (IP) with the university. MIM has currently negotiated many of these licenses. We have also partnered with other manufacturers and inventors to develop related technologies. A number of our devices have been patented while others have filed patent applications with the United States Patent Office. In 2011 Magnets-In-Me, Inc became an LLC. Some of our devices are in early development, while others are currently in clinical trials. During the last two years, we have spun off companies to develop devices that perform magnetic anastomoses; treat obstructive sleep apne; and sunken chest or pectus excavatum. We have worked with Dr. Marcelo Ferro, MD from Argentina on the development and FDA classification of his device to treat pigeon chest or pectus carinatum. We are working on the development of a device to monitor the compliance and treatment of both the pectus excavatum and pectus carinatum devices. This measuring system uses smartphone technology to transmit information on the pressure needed to repair the defect and how long the patient wears the device on a daily basis. We are harnessing cloud technology to transmit this information to both the patient and their physician. Rare-earth magnets are strong permanent magnets made from alloys of rare earth elements. Developed in the 1970s and 80s, rare-earth magnets are the strongest type of permanent magnets made, producing significantly stronger magnetic fields than other types such as ferrite or alnico magnets. The magnetic field typically produced by rare-earth magnets can be in excess of 1.4 teslas, whereas ferrite or ceramic magnets typically exhibit fields of 0.5 to 1 tesla. There are two types: neodymium magnets and samarium-cobalt magnets. Rare earth magnets are extremely brittle and also vulnerable to corrosion, so they are usually plated or coated to protect them from breaking and chipping. The first problem they tackled was pectus excavatum or sunken chest. As a pediatric surgeon, Dr. Harrison had performed many procedures to repair pectus excavatum or sunken chest. About 14,000 children are born each year with the problem, but less than 4,000 require surgery. The traditional procedures are called the Ravich and Nuss procedures. Both are major surgical procedures that involve placing a rod in the patient’s chest and pulling into a position where the chest wall goes back to a normal position. The patient may remain in the hospital for from 5 days to 2 weeks, often requiring major pain medication. The bar remains in place for about 2 years and then is surgically removed. The results are often good, but the pain and discomfort has prevented many children for having the surgical repair. 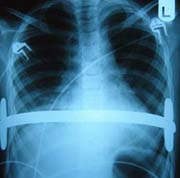 Dr. Harrison and his colleagues at UCSF developed a procedure that used two rare earth magnets, one implanted in a titanium case on the sternum and the other worn in an external jacket (see pectus excavatum in product description) The device would live close to the heart for up to 2years. The team had to determine if the positioning of this magnet could potentially damage the heart. They performed a number of tests but ultimately Dr. Harrison discovered the perfect example to prove safety to the FDA. The answer was cow magnets. Cow magnets are used to keep metallic objects that cows swallow from perforating their stomach. The surgery for sunken chest is called the Magnetic Mini Mover Procedure takes about 30 minutes and is performed on an outpatient basis. After recovery the patient is fitted with an orthotic device that contains another rare earth magnet. The two magnets work like an orthodontics procedure and slowly pull the chest out in to its normal position. The device remains in place for about two years and is currently about to begin its second clinical trial funded by the FDA. Dr. Harrison and his team of scientists, engineers and inventors meet two to three times a week to work on existing projects and new ideas. The group is currently working on treatments for scoliosis, sleep apnea, sutureless anastomoses, and magnetic controlled endoscopic tools. Many of our devices are discussed at meetings of the pediatric device consortium.